"Fuji, Mountains in clear Weather (Red Fuji)"
thin white lines of snow tracing lines down from the tip of the peak. Small clusters of clouds fill the sky, and tiny trees grow to the base of the mountain, indicating its massive size. 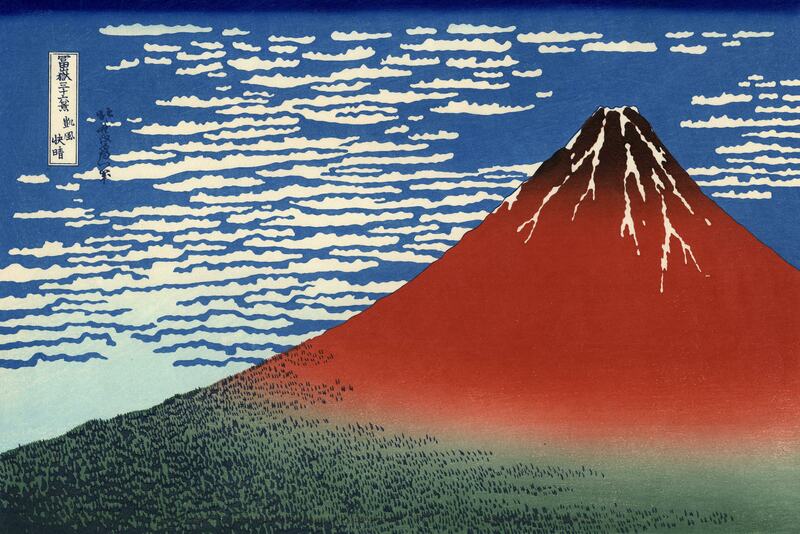 Hokusai’s infatuation with Mount Fuji was much more than an admiration of its beauty. 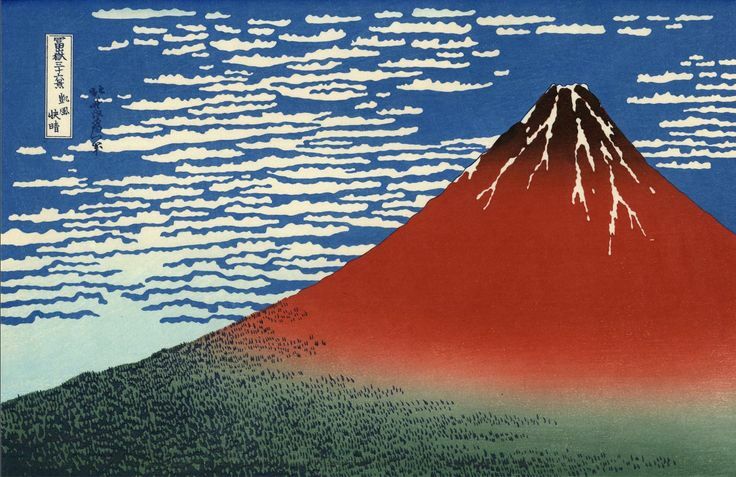 The Tale of the Bamboo Cutter told that a goddess placed an elixir of life at the top of the peak, and thus the mountain was a secret source of immortality, as well as a secret reason for Hokusai’ obsession with the mountain. " 7 Beautiful Faces of Mount Fuji | Goin’ Japanesque!